The state of Tamil Nadu is the southernmost state in India. While it might be located in the lowest rung of India, it does not disappoint with respect to many other aspects. The industrialisation of the Suburban regions of Chennai, the excess of cotton industries in Coimbatore, the automobile hub that is scattered around the Kanchipuram and Thiruvallur district, the information technology epicenter that operates out of Chennai and above everything, the agricultural force that can be seen all through the state shows what Tamil Nadu is all about. The state has so much of vibrance in culture, Lifestyle, tradition and even in the art and commitment of protecting wildlife. Some of the best national parks like the parambikulam Aliyar tiger reserve can be found in Tamil Nadu. This commitment is not just confined to animals but also extends into the territory of the Avian species. The bird sanctuaries can be found as not as Pulicat which almost borders Andhra Pradesh to as South as Ramanathapuram which borders Sri Lanka. 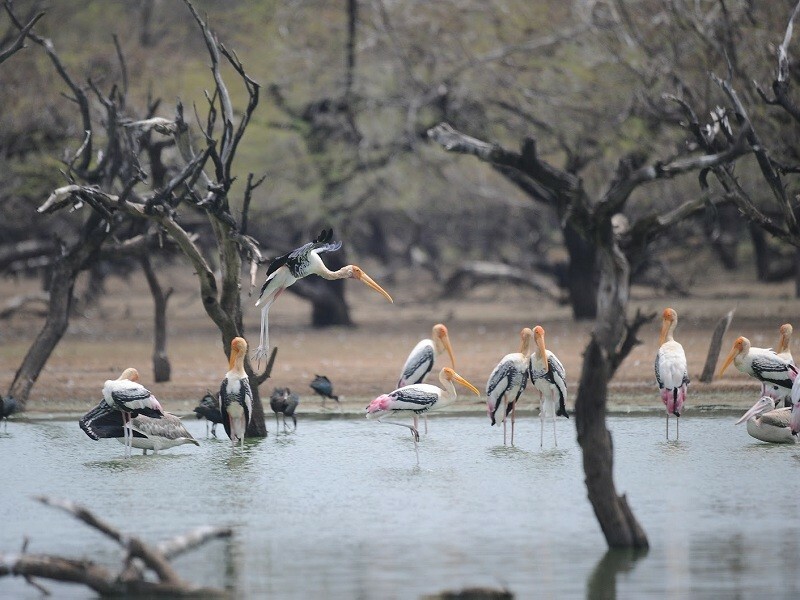 Here we have compiled a list of some of the best and most exciting bird sanctuaries that are scattered around the vast expanse of the state of Tamil Nadu. No mention of Tamilnadu and birds in a single sentence would be complete without the occurrence of Vedanthangal. Vedanthangal Bird Sanctuary is spread across a massive 74 acres and is located in the Kanchipuram District close to the town of Chengalpet. It is about 75 km away from Chennai and this place is the home to about 40,000 words that include about 26as species not belonging to just different parts of India but the entire planet. The Vedanthangal Bird Sanctuary has everything it takes to form a complete bird protection ecosystem. There are vast Green Fields, a massive Lake, mangroves and trees that remain green throughout the year. The commitment that people have taken to save the bird species is nothing short of Extraordinary. Vedanthangal is one of the best bird sanctuaries of Tamilnadu. The Diwali season which is supposed to be a season of bursting crackers and lighting Fireworks that so high into the air has been completely abolished by the people in a self-initiative. They think that the safety and comfort of birds are more important! This is what the hospitality of Tamil Nadu is all about! The interesting thing to note is that the first bird sanctuary of India is this little lake and this little village that is situated in the outskirts of Chennai. This was created in the year 1858 by the order of the collector of Chengalpattu. However, the initiative to make this place into a bird sanctuary goes back to the year 1798. to put that into context, it is just one year after George Washington resigned as the first President of the United States! The number of bird species cannot be captured in a single paragraph. 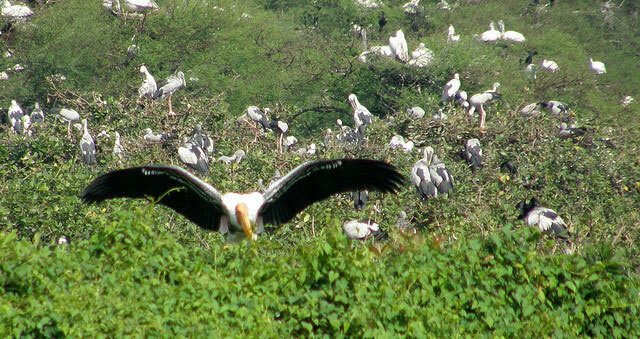 The Chitrangudi Bird Sanctuary is locally known as the Chitrangudi can Molly and it is spread over about 0.47 square km. It is a part of the Chitrangudi village in Ramanathapuram district and it was declared a national park in the year 1989. it is quite proximal to the Karanjikulam Bird Sanctuary and has The Legacy of being a nesting site for many migratory birds that include the open billed stork, the grey Pelican, the Heron and a lot more of them. The best time to visit theBirdd Park is between the month of October and February where you will find the bird species from all over the world come in to the chitrangudi bird sanctuary to enjoy the present climate! Tirunelveli might be known as the place of Halwa but little do people know that the district also packs some of the most wonderful things about Tamilnadu. Right from the times of history when Kattabomman operated out of this place to the current times when the submarine signalling station of the Indian Navy, INS Kattabomman functions out of Tirunelveli, you know that this place is special. It is probably the same feeling that the birds have when they visit this Bird Sanctuary. This place serves as the largest reserve for water bird breeding in South India and is soon positioned to be the elite member of some of the most renowned bird parks in the country. Viralimalai Wildlife Sanctuary is one of the most popular Wildlife sanctuaries in Tamil Nadu and is one of the best places where you can set colourful and Majestic peacocks. There are a lot of species of peacocks that are present in this bird park and it is one of the biggest reasons why there are tourists coming in from all over the world all through the year. Viralimalai is a small town that is about 30 km from Trichy and is famous for the viralimalai Murugan temple. It is said that the peacock serves as the transport for Lord Muruga who is considered to be the native God for Tamilians. There are a lot of wild peacocks that roam around the Murugan temple and you can even find white peacocks that have a different level of attractiveness compared to the usual coloured peacock. The shanmughanathar temple can be accessed by climbing 210 steps and this town has been significant ever since the time of the Chola Empire, which is signified in the temples and the natural caverns. Pulicat or palaverkadu as it is locally known is one of the largest lakes and it lies in the space between Andhra and tamilnadu, bordering the Sriharikota Satish Dhawan Space Centre. 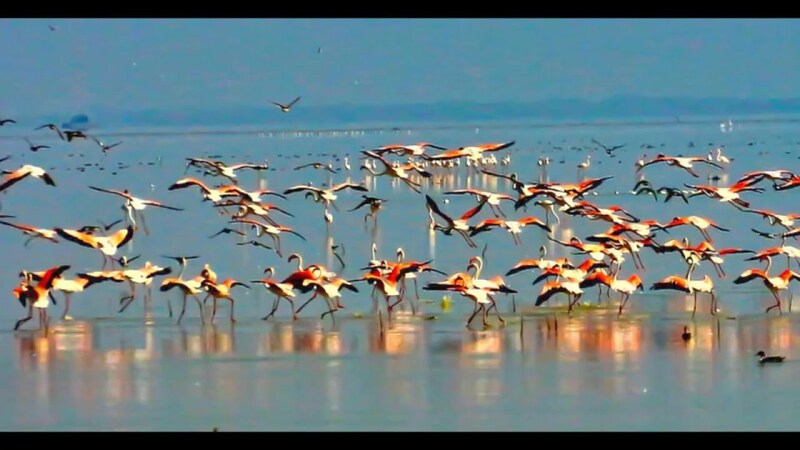 Pulicat Lake Bird Sanctuary is known to be a heaven for bird lovers and ornithologists. It is spread over a massive area of 481 square km and is housed inside the Pulicat Lake which is the second largest brackish water ecosystem in India after the Chilka lake. There are multiple water bodies Like The swarnamukhi River, the Buckingham canal and a couple of other rivers that drain into the Pulicat Lake and this makes it a great place for birds to enjoy and chill out in the brackish water and feed on the fishes. It is interesting to note that the Pulicat region was a Dutch Colony when all the places around it where British! You can find a lot of Terrestrial and aquatic birds, and to be precise, you have about 100 species of birds, 160 species of fishes and 19 species of molluscs. The birds include the flamingos, the grey Pelican, the Heron, the tern, the partridge, the quail and a lot of other species including the common ones like the shoveler and the Marsh sandpiper. It is for a reason that’s Tamil Nadu is known as enchanting Tamilnadu !! !